This FREE Alarm Clock plus Stopwatch plus Timers app is the only one that allows you to customize almost everything. 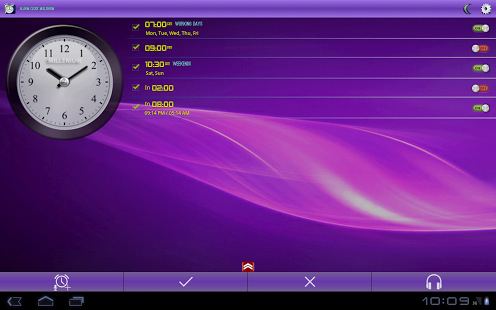 Alarm Clock Millenium is the best alarm clock on Google Play, it is a free alarm clock including 5 timers plus stopwatch. This alarm clock app offers you a wide choice of ways to wake up and allows you to wake up at time in the best way. 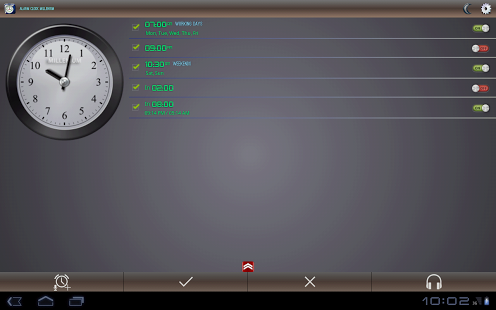 You will be extremley impressed by this Android alarm clock app. Let's join the community of hundreds of thousands of daily users. 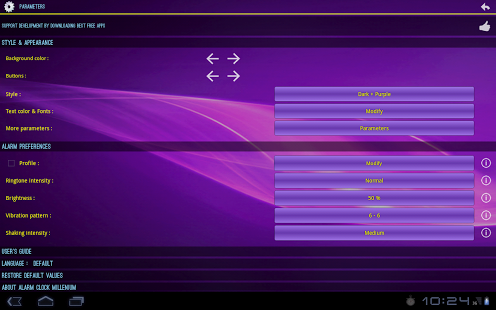 ★ Select from different ways to stop it (button, mental arithmetic(math), Captcha code, visual test, shake, flip). This free Android alarm clock includes a beautiful widgets: analog clock widget and digital android widgets with flashlight fuction. You can use one of the beautiful HD wallpapers available like background and you can also use your own wallpaper. The user's guide explains carefully the functionalities of this Android alarm clock app. For any question or to report a bug, please visit our website or email us. keywords: alarm, alarm clock, free, alarms, alarm_clock, alarm+clock, alarm-clock, ALARM CLOCK, clocks,alarm clocks, android app, nap, free alarm clock, alarmdroid, alarm on android, Xtreme, gentle, smart tool, alarm clock plus, stopwatch, timer, analog clock, digital, clock, sleep, wake up,wake me up, droid, app, apps,free app for android, andriod mobile apps, app for alarm clock, snooze,volume, wake up alarm, awake test, night mode, wallpaper, mp3, ringtones, widget, Android, android widgets, widgets for android, timer clock, clock timer, countdown clock. alarm set. set alarms. WAKE_LOCK -> Turn On the screen when alarms go off, Keep screen on when flashlight is on, Keep screen on in night mode if this function is activated in “More parameters”.